Donald Trump’s plan to “make America great again” may include getting you to fork over a whole lot more money for your next iPhone. After all, that would be the logical progression from the Republican presidential frontrunner’s latest bold (crazy?) promise: Getting Apple to start manufacturing its products in the US instead of China. 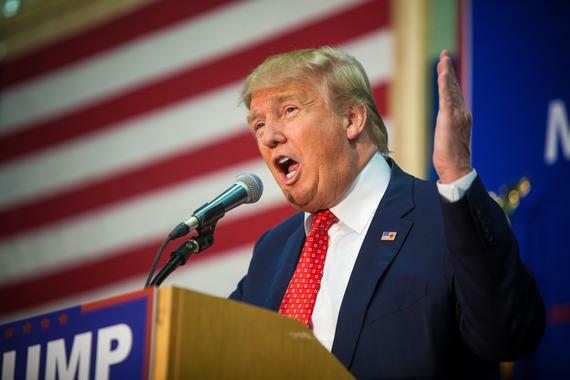 Donald Trump made yet another bold promise — this time about Apple. “We’re going to get Apple to build their damn computers and things in this country instead of in other countries,” Trump said in a speech on Monday at Liberty University in Virginia. Trump’s rhetoric is designed to appeal to a base of voters who are struggling to find jobs in the US. Apple, the world’s most valuable company with a market capitalization of $534 billion, designs its best-selling iPhone, iPad tablets and Mac computers in the US but relies on partners in China and Chinese factory workers to assemble almost all of them (one model of the Mac is made in the US). But how much would it cost to build those “damn things” in the US? Even a rough calculation of the basic costs shows it’s an unfeasible option, leading to an iPhone with a potentially jaw-dropping price tag. To keep things simple, let’s just look at the wages of workers tasked with assembling an iPhone. A worker at Chinese manufacturing giant Foxconn gets paid roughly $400 a month before overtime, according to the New York Times. Now assume Apple goes the economic route and places a manufacturing plant in Wyoming or Georgia, which happen to have the country’s lowest minimum wage at $5.15 an hour. Working eight hours a day, five days a week, a US worker would make $824 a month, or more than double the Chinese worker. If Apple were to employ someone in its home state of California, where the minimum wage is $9 an hour, the monthly pay is $1,400, or more than triple the Foxconn worker. Assume you have a pool of workers skilled enough to handle the task (you don’t) and then assume those workers are willing to work for minimum wage (they won’t). After awhile, things don’t add up. While there are a number of other factors that go into an iPhone, including the components, shipping, marketing and research and development, doubling the labor costs could significantly hike up the price of an iPhone. The starting price of Apple’s marquee iPhone 6S is $650 — would you be willing to pay for the phone if it was $1,300? Or more? “Twice as much is conservative,” Carolina Milanesi, an analyst at Kantar Worldpanel, said about the price hike of an iPhone if it were manufactured in the US. 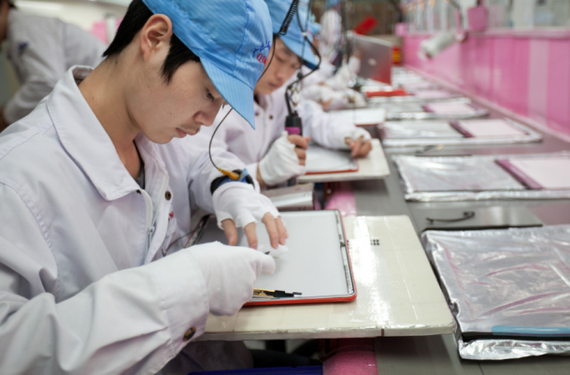 A photo of a factory worker taken from Apple’s annual report. Apple declined to comment on Trump’s comments and didn’t want to get into the potential math of bringing phone manufacturing back to the US. Trump’s comments ignore the fact that Apple did invest $100 million to manufacture the Mac Pro in the US. It also buys some of its components from US companies, including Intel’s chip for its Mac computers. The company said earlier this month that it believes it has created 1.9 million jobs in the US through the creation of the app economy around the iPhone and its other products. Even Apple, with its $200 billion-plus stockpile of cash, couldn’t afford to build a phone in the US at a reasonable price. Making a more expensive, “Made in the USA” product isn’t an option, especially as consumers start to wise up about how much they’re spending on their phones. Every day, decent, low-cost alternative phones are cropping up. So chalk it up to another wild, impossible-to-deliver-upon claim by Trump. But that’s part of his appeal, right?